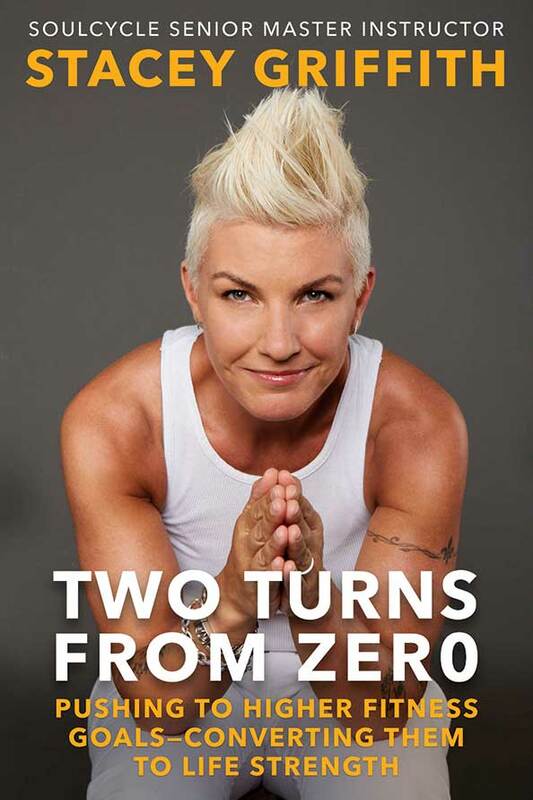 The woman behind your fave sweat sesh is putting it all on paper with her new book, Two Turns From Zero. SoulCycle’s senior master instructor Stacey Griffith gives us the scoop! What’s the premise of your new book, Two Turns From Zero? It’s a life guide. It’s really for that person who’s looking to get that extra “oomph” out of life, something to elevate themselves. Once you’ve gained success in your life, you have to maintain it. We can turn our lives around at any time. Are you open about your addiction in the book? Yeah. I write about drug addiction, surviving a suicide, surviving a divorce from my parents when I was really young, being gay as a teen.… I’ve been a successful cycling instructor for 22 years, and everybody puts me on a pedestal. I want everyone to understand that I went through hell, and I want to help others get through their personal hells. You’re very physical. What was it like to spend so much time writing? I love it—I have a column in Time. I got two A’s in school: PE and English. Horrible, absolutely horrible. I’m glad I can count to eight!